Its abundance in our solar system—despite its rarity on Earth—makes metallic hydrogen an intriguing focus for researchers at the University of Rochester's Laboratory of Laser Energetics (LLE) who study planet formation and evolution, including how planets both inside and outside our solar system form magnetic shields. "Metallic hydrogen is the most abundant form of matter in our planetary system," says Mohamed Zaghoo, a research associate at the LLE. "It's a shame we don't have it naturally here on earth, but on Jupiter, there are oceans of metallic hydrogen. 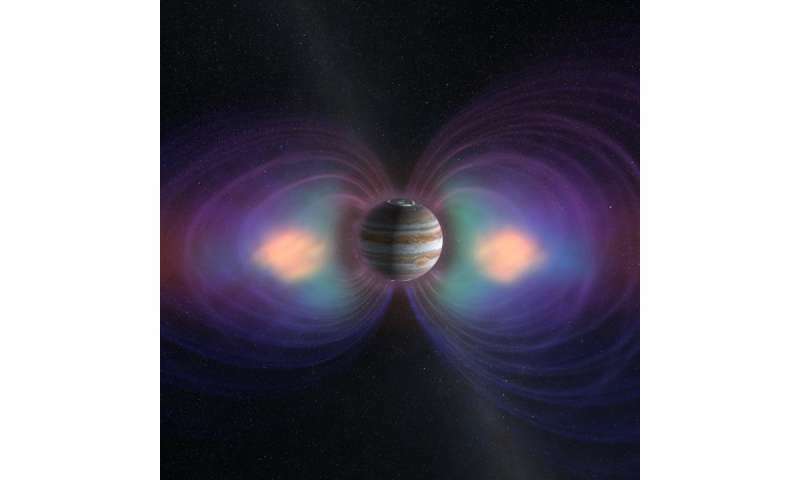 We want to find out how these oceans give rise to Jupiter's enormous magnetic field." Zaghoo and Gilbert 'Rip' Collins, a professor of mechanical engineering and of physics and director of Rochester's high-energy-density physics program, studied the conductivity of metallic hydrogen to further unravel the mysteries of the dynamo effect—the mechanism that generates magnetic fields on planets including Earth. They published their findings in the Astrophysical Journal. By studying the conductivity of metallic hydrogen, Zaghoo and Collins are able to build a more accurate model of the dynamo effect—a process where the kinetic energy of conducting moving fluids converts to magnetic energy. Gas giants like Jupiter have a very powerful dynamo, but the mechanism is also present deep within Earth, in the outer core. This dynamo creates our own magnetic field, making our planet habitable by shielding us from harmful solar particles. Researchers can map the earth's magnetic field, but, because the earth has a magnetic crust, satellites cannot see far enough into our planet to observe the dynamo in action. Jupiter, on the other hand, does not have a crust barrier. This makes it relatively easier for satellites—like NASA's Juno space probe, currently in orbit around Jupiter—to observe the planet's deep structures, Collins says. 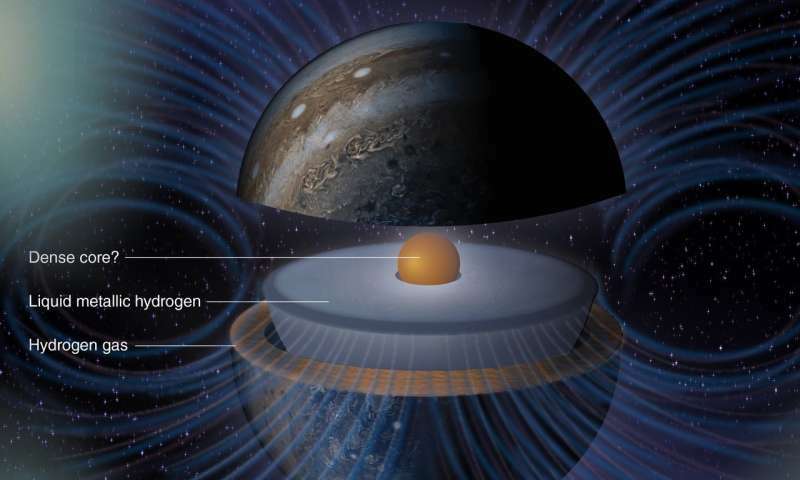 "It is very humbling to be able to characterize one of the most interesting states of matter, liquid metallic hydrogen, here in the laboratory, use this knowledge to interpret satellite data from a space probe, and then apply this all to extrasolar planets." Better understanding the planets in our own solar system also provides more insight into the magnetic shielding of exoplanets outside of our solar system—and may help determine the possibility of life on other planets. Researches have long thought that planets with magnetic fields are better able to sustain gaseous atmospheres and therefore are more likely to harbor life, Zaghoo says. "Dynamo theory and magnetic fields are key conditions of habitability. There are hundreds of exoplanets discovered outside our solar system every year and we think many of these planets are like Jupiter and Saturn. We cannot go to these planets yet, but we can apply our knowledge about the super giants in our own solar system to make models of what these planets might be like."